Pisum sativum (Illustration taken from Mendel’s book on inheritance). “One of the most fascinating aspects of Mendel’s paper is his success in describing the patterns of inheritance, without having any knowledge about the biological mechanisms responsible for those patterns. Although it was well-known by 1865 that peas, like all plants and animals, were made up of cells, Mendel had no knowledge of what the genetic material of the cell could be. More importantly, perhaps, he didn’t have the language of genetics to reason about such things. Mendel’s use of mathematics (the combination series in particular) is important in this respect, because mathematics made it easy to avoid questions of biological mechanism. When he was forced to go beyond mathematics and to use natural language to describe what he saw, his description problems became more difficult. A nice example of the difficulty is seen in his use of the strange phrase “must impress their peculiarity upon” (Eigentümlichkeit aufprägen müssen), to describe dominance.”–Via. This entry was tagged Chapter 14: Classical Genetics, Chapter 9: Mendelian Genetics. Bookmark the permalink. ← Understanding Evolution, its evidences and mechanisms. Mendel is considered the father of genetics. He was able to clear many doubts and establish many genetic rules. He made several experiments which fueled his interest and curiosity and with further experiments was able to explain how genetics work. The second picture on the website below explains one of Mendel’s experiment and one of the basics of genetics. Mendel was able to explain why the result of this experiment was that way. Now a days we organize the information Mendel found through punnett squares which help us visualize and understand how genetics work. Mendel and Darwin, along with many others, can be credited with ideas and concepts that have shaped the way we live our lives. I would like to further interest our fellow classmates in the studies of genetics. What I’m going to talk about may not be directly related to this post, but its core is what we’re studying now in chapter 10 of our “Modern Biology.” It’s a very interesting topic. Recently, various types of information have been stored in the genetic material of bacteria. In Argentina, a set of scientists decided to store music – Argentina’s national anthem to be exact – in the DNA sequences of bacteria. It may seem complicated, but it’s actually pretty simple. The scientists formed an algorithmic formula to transcribe musical notes into “DNA notes.” These DNA notes happen to be nucleotides. The musical notes are transcribed into the nucleotides adenine, thymine, cytosine, and guanine. Arranged in the right order, these code for the set of notes that make up the musical piece. Later, this DNA sequence can be transcribed back into audible music. Since bacteria can duplicate all of their genetic material in 20 minutes, there can be enough copies of any song (or any type of information) for the entire population of the world! Please note that all music files must be in the MIDI or TXT format in order to be transcribed. Have fun! A post will definitively come out of this. Thanks for sharing, Arnaldo. I think it is really admirable how Mendel observed everything around him and he wanted answers to how the things he saw worked, how he had the patience to try so many crosses and organize all of his information. I find interesting how Mendel could explain the patters of inheritance without knowing what happened inside the organisms that caused these changes. I think Mendel’s experiments are really important becaue they provide the basis of genetics and his experiments still help us understand how genetics work even though more than 100 years have gone by. My favorites were #8 and #10. His time indeed came because we still study his contibutions to genetics. I become a little bit more fascinated with Darwin as we keep on studying him. He was a true scientist as he discovered so much with so little. He combined many subjects to come together in the countless contributions he has made to science and life. Without the knowledge of what was contained as genetic material inside a cell, Darwin managed to create the structure we know today of the cell’s genetic life. But I still ask myself, how his mind is so incredibly broad and wise to be able to reach all his discoveries with the bare minimum amount of information he was at reach of during his time? I would very much like to have been in his presence the times he made all his timeless discoveries, I would have liked to delve deeper into his abilities as a scientist and as, simply, a curious, wise person. In personal opinion, he is an example of a person ahead of his time. I incorrectly wrote Darwin referrring to Mendel, my sincerest apologies. What you said on your previous comment goes for Gregor as well. There’s a vast amount of letters and writings by Darwin that can tell you about not just his scientific mind, but also his every day mind. And they can tell you a lot about Darwin’s time, which is know as the Industrial Revolution. I’ll be sure to check it out, I’m intrigued. Thank you. Interesting fact about Mendel: “And, like genes in the biochemical context, the possibilities for memes are virtually endless.” Unfortunately, this has happened too often. “My time will come.” He was very well aware of the significance of his research. Great find, Mariangel. It’s amazing how, using just statistics and math, Mendel was able to discover as much as he did. He found out how traits were passed on from one generation to another by just observing different generations of plants with different traits. This just goes to show what you can achieve by using observation and having patience. And the thing is he wasn’t even a scientist, just a simple monk. It’s a shame that the value of his work was not discovered until after his death. Gregor Mendel was a very curious scientist and it really is amazing how he discovered genetics and heredity. As discussed in class, we have learned that all this discoveries started with observation of traits in a pea plant experiment. Thanks to him people today know their genes and where their traits came from or have an idea of how their offsprings will look like. And to think that heredity via Mendel–peas, paper, pencil & mind–lead to such sophisticated tools as the BLAST program we’ll see on our lab. Gregor Mendel, also known as the father of genetics, spent around eight long years counting peas. All for the pursuit of scientific knowledge. This, fortunately, brought him great results; a theory which was very innovative and dynamic for his times. It was Mendel who set forth the basic laws of inheritance, one of the core theories of modern biology. Thanks to Mendel, genetics has gone far beyond pea plants and Punnet squares. Gregor Mendel made one of the most important discoveries on Earth. He is considered the father of genetics for his discovery of genetics by working with the pea plants and finding about recessive and dominant traits. His contributions to the discovery of DNA were of great support. 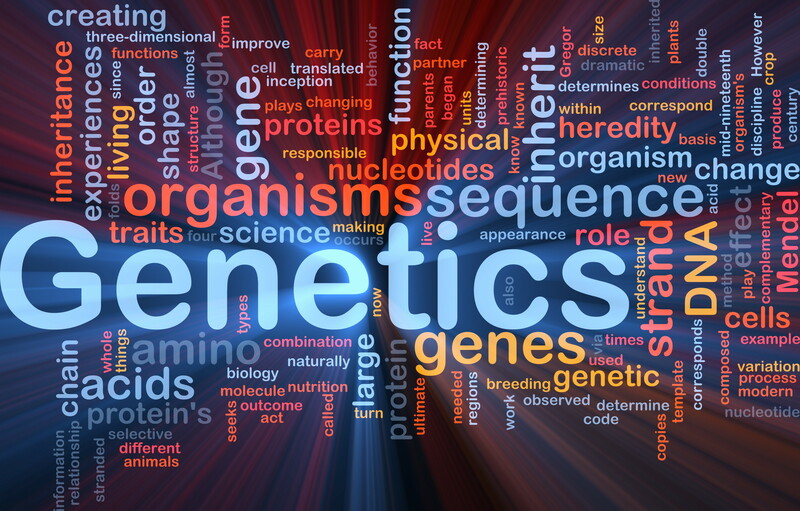 I was really intrigued with this theme of biology because I have always found very interesting the concept of genetics and heredity. Here is a site with more detailed information about his experiments and findings. Gregor mendel is concidered the father of genetics because with he not being aware of chromosomes, dna, and meiosis, he knew that there was something that took control over our hereditary material. He tested genetics with pea plants and thus being the creator of what we now know as genetics. A fact that his experimentations discovered or confirmed is the existance of incomplete dominance which is when alleles overlap each other fusing themselves together and epistasis. Epistasis is a change in the phenotype. Gregor Mendel, is known as the father of genetics because he discovered genetics by working with the pea plants. He invented the laws of inheritance. Thanks to Mendel we can know the genes and traits our offsprings will have. It comes to mind that when we talk about genetics, we are more advanced about this topic nowadays because of Gregor Mendel. If it weren’t for him, we wouldn’t have understood most of the complex things in genetics. One of them is the passing of traits. When we talk about inheritance we talk like we are professionals, but back in his time this topic was the “next big thing”, and it actually is, still. He was so brave and passionate enough about science that he made a huge discovery that has led to the advances in technology, an example, genetic engineering. If we couldn’t understand genetics and DNA, genetic engineering nowadays would have been something impossible, due to the fact that we need to know about genetics and DNA, as mentioned before. I really loved this chapter on Gregor Mendel and genes. Genes really fascinate me; the way you can see how two parents with two different alleles create heterozygote, homozygote, incomplete dominant, or co-dominant offsprings. It fascinates me even more when it has to do with the connections of the parent’s blood type with that of their children. I really see myself doing this in the future. If you are interested in genetics films, I recommend the film Gattaca. Gregor Mendel made many inputs to heredity. His work consists on experiments of breeding and of the law of segregation which was the first heredity law based on his observation about the breeding of plants. More information about his contributions, achievements, and life are on the link below. I really liked working with the punnet squares, and something it brought to mind was cats, who come in a very in a much more specific shape and size compared to dogs, yet still manage to have so much diversity in there coats. It made me think of a cat in my neighborhood who’s completely white and had a whole rainbow of kittens, and my own cats, both calicoes, who came from very different mothers. It’s fascinating how genes can give so many variations in the way different species look. Gregor Mendel, also known as “the father of modern genetics”, is an excellent example of what a scientist should be like. He was very determined on his work and would not stop until he knew exactly what was going on in those peas. In the period of 8 years he tested 29,000 pea plants, showing how determined he was. While studying heredity, he then focused on seven different traits that appeared in all pea plants but weren’t always the same. His experiments and his hard work led him to make two generalizations, the Law of Segregation and the Law of Independent Assortment. Gregor Mendel was able to do so much without having the knowledge of chromosomes, DNA, etc. His dedication is amazing and it’s hard to believe that everything we know now is thanks to historic figures like him. He is the father of genetics and was in love with his work, he did everything he could to solve all of his questions. Mendel is one of the most important biologist in the whole century because Mendel showed that the inheritance of traits follows particular laws, which this laws were named after him. Scientific understanding of how traits pass from parent to offspring began with the work of Gregor Mendel and his famous experiments on garden peas. Through the selective cross-breeding of common pea plants. Thanks to Mendel we now a day know how to Cross- breed and know the offspring and the different traits that a human or an animal will have by mating each other. Out of all of the lessons discussed in class, this section on genetics is by far my favorite. One of the things I find truly fascinating is how ones genetic information can modify itself to adapt to its surrounding environment, this shows us that genetic variation plays a very important role in evolution, without it the basic mechanisms of evolutionary change could not operate. Gregor Mendel is considered the father of genetics being this because by his experiment on pea plants he discovered fudamental laws on inheritance. Mendel has a very important part in our understanding of genes and how they work. here is a nice video you should all see on Mendel’s experiment on pea plants and how it helped us understand genes. It’s intriguing how closely related math and science are related. Not only how genetics is connected to probability and combinations, but also Fibonacci in spirals in nature. It makes it evident that mathematics was not invented by a really bored individual, rather it was discovered by observant intellectuals all throughout history. I’m obsessed with Fibonacci sequences. Kurt Gödel, M. C. Escher, and Bach used Fibonacci sequences in their respective areas: math, art, and music. Gregor Mendel is known as the father of genetics because his patience and determination during his observations on pea plants opened the gates to our understanding of genetics. Inheritance or the passing of traits from parent to offspring is an extraordinary find. Genetics is a subject that we should all understand because it will give you an idea of how your offspring might look like or the traits that might be transmitted which could have positive or negative effects on your offspring. Genetics seemed like a complex topic I couldn’t quite understand but since watching the videos shown in class, the clear explanations given, and the various punnet square problems worked on I’ve had no doubts or problems with my understanding of genetics. Heredity is basically the passing on of traits from parent to offspring. In his studies, Mendel showed that heredity followed particular patterns. Mendel developed a way of identifying the genes of offspring by crossing the parents’ genes in various ways to create different variations in the genes. Mendel was truly a man of his time, with his patience and determination,we acquire the basics of genetics. Through Mendel’s experiments with the pea plants, we learn that offspring inherit their traits from their parents and the offspring later pass these traits to their children and the ongoing cycle continues. Genetics is indeed a very fascinating branch of science and with the technological advances now a days and in the later future we will see many significant developments. Gregor Mendel did wonders for the world of not only genetics but science as a whole by doing what he did. His findings with the pea plant where very advanced for his time. What is so interesting is that Mendel was able to devote so much time to watching these pea-plants grow throughout the days, though pea plants grow rather fast it still takes a lot of observing a dedication. These videos I think explain his concept for well of course a bit simplified to make it be able to understand easier but it explains his experiments quite well. Back in Mendel’s day, the concept of DNA being the hereditary material was revolutionary, though now we consider this knowledge the basis of the different paths the study of genetics has taken. The variety of projects and studies that have developed since Mendel’s experiment with the pea plants are remarkable, though sometimes dangerous as well. There are many things being done with DNA, including cloning, the Human Genome Project, gene editing with new technologies such as CRISPR, among others. It is important to be aware of the ethical consequences these projects may arise, though we cannot hide the fact that these new technologies can result beneficial in different scientific fields, such as medicine.